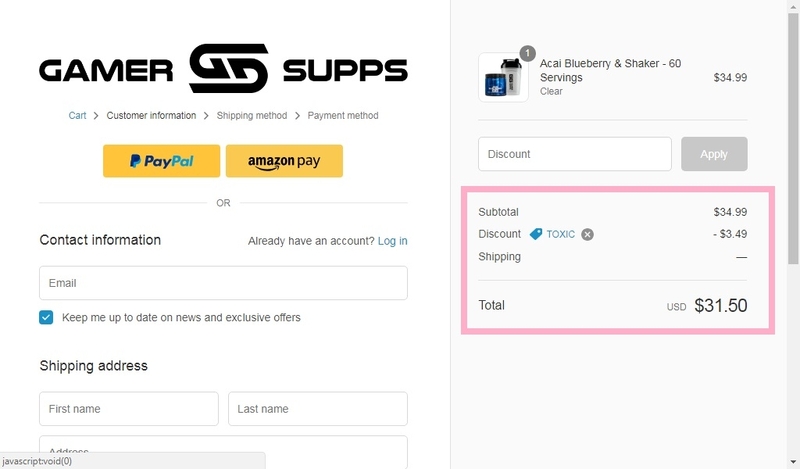 Expires in 4mo . Last validated 3wk ago . 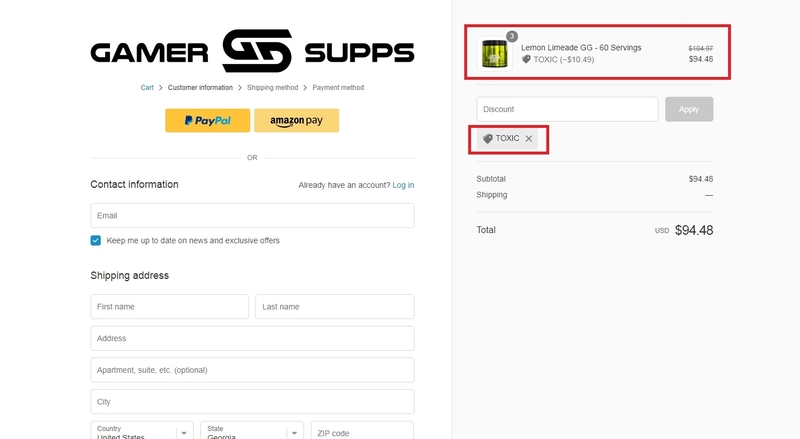 Used 5 times. Johanna Flores This deal was verified and it is working as described. 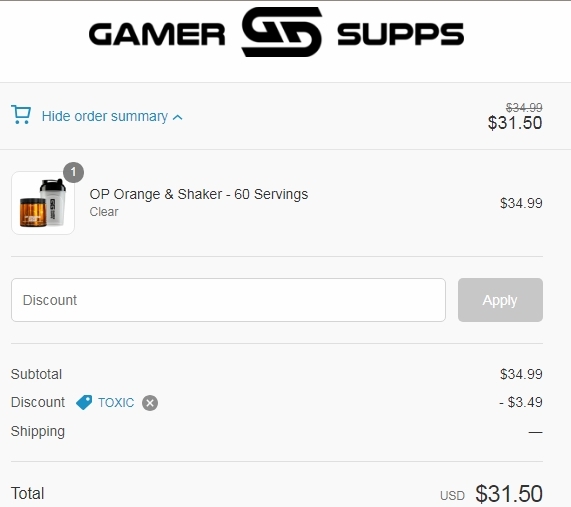 Select the items and enter the promo code <TOXIC> at checkout to get 10% off your entire order at Gamer Supps. Adri I am reactivating this deal. 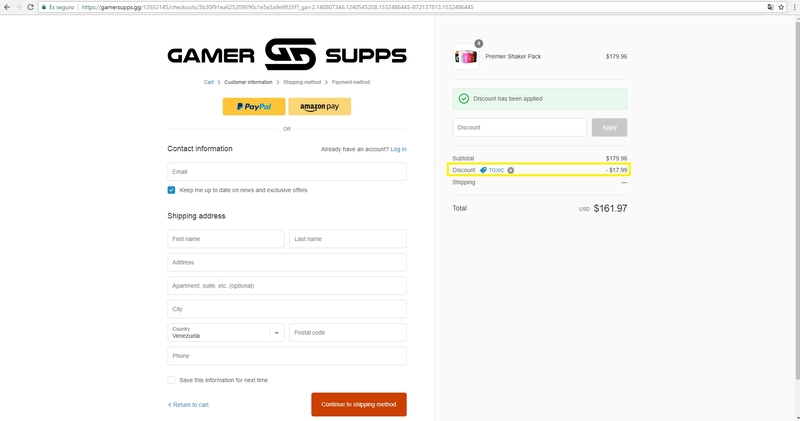 Just copy and paste the promotion code at checkout to claim your discount 10% off your entire order at gamer supps.